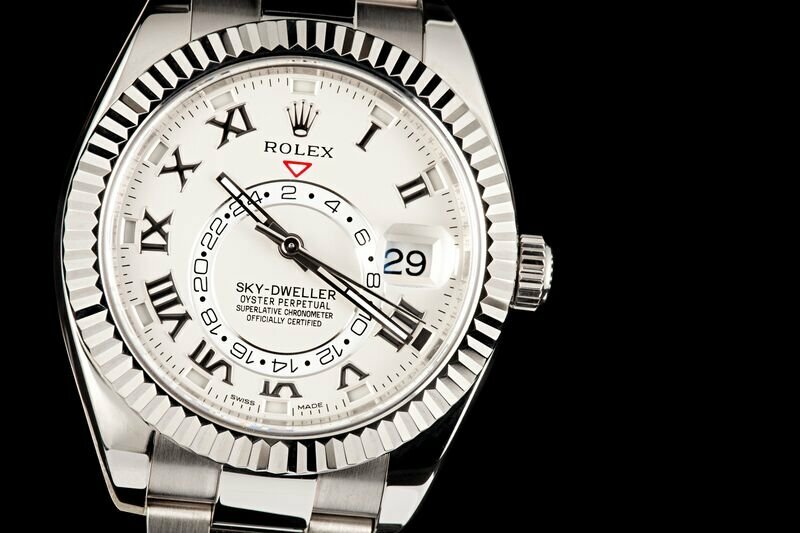 The Sky-Dweller is one of the larger watches produced from Rolex. 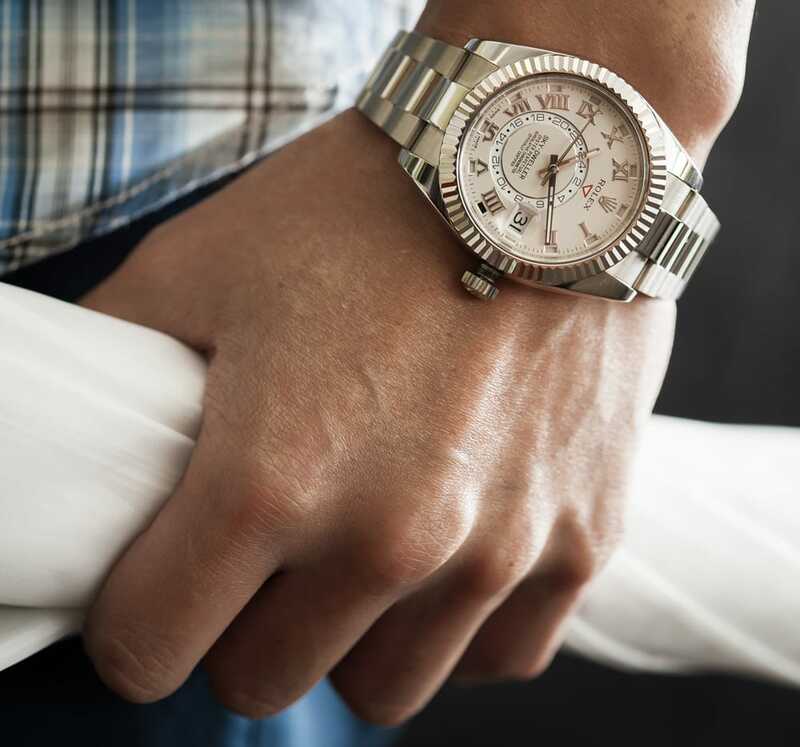 Compared to its 36mm sibling, the Datejust II at 41mm is a much larger interpretation of the classic Rolex dress watch. First introduced in 2009, the increased size was a welcome update and much more in line with contemporary watch styles. As with the original Datejust collection, versatility is offered within the Datejust collection with options in stainless steel, gold, and two-toned references. There’s a wide range of dial colors to choose from and hour-markers include Roman or Arabic numerals, baton-style indexes, and, of course, diamonds. A fluted bezel can be selected for a more traditional aesthetic or for a sleeker, more modern style, a smooth domed bezel is the way to go. Rolex Datejust II runs at 41mm. In 2012, Rolex launched a brand new collection with the Sky-Dweller model with both a dual time zone feature and an annual calendar function. The 42mm case houses a very distinct dial that offers the wearer plenty of practical information. Firstly, the local time is read by the traditional center hour, minutes and seconds hands. Secondly, the reference/home time is indicated via the off-centered disc with a 24-hour scale marked by an upturned red triangle, thus, two time zones can easily be read at the same time. Thirdly, the date is revealed within the aperture at the 3 o’clock position magnified by the characteristic Cyclops lens. And finally, the month of the year is denoted by the 12 windows positioned on the outer track of the dial — one of which turns red depending on the current month. Exclusively crafted in yellow, white or pink gold, the Sky-Dweller is an ultra luxurious watch for the jet set. The 42mm case houses a very distinct dial that offers the wearer plenty of practical information. 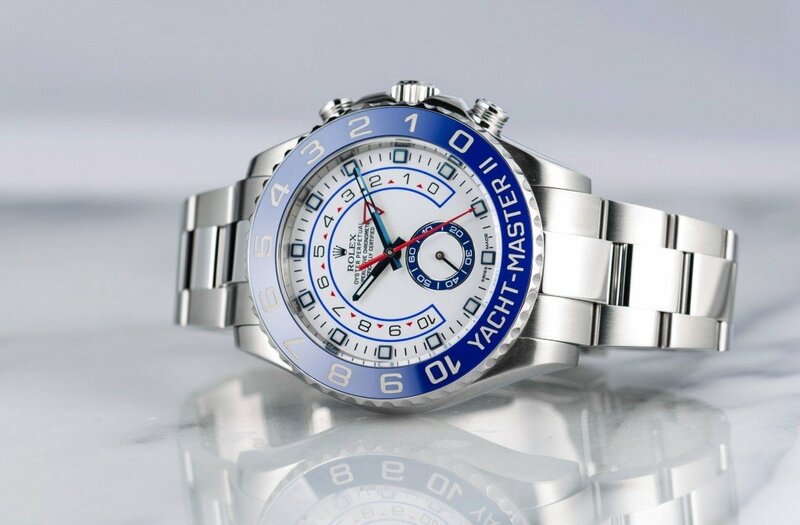 Unveiled in 2010, the Yacht-Master II collection was developed specifically for those who participate in the sport of yachting. 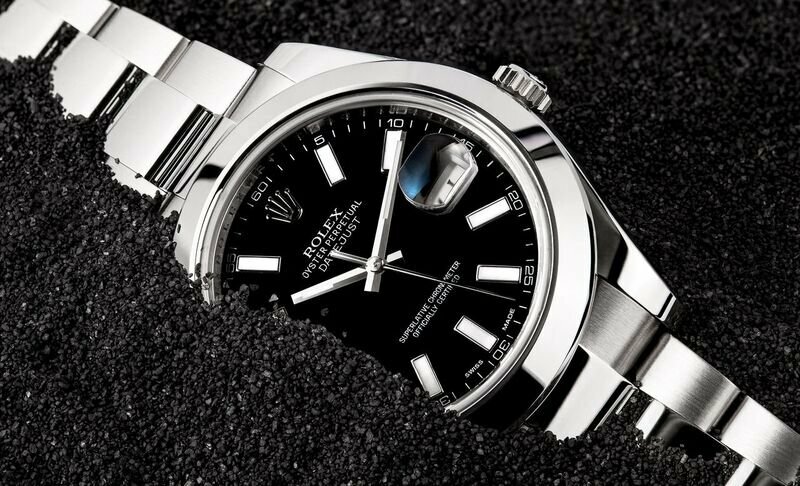 With a 44mm sized case, it is the largest Rolex watch available within their current catalog and its design details makes it one of the most distinct. The dial was constructed to seamlessly transmit the complex information that the Rolex Caliber 4161 mechanical regatta chronograph movement within the case calculates, such as a programmable countdown feature with mechanical memory and on-the-fly synchronization. The functions of the Yacht-Master II are actually controlled via the bezel, appropriately named the Ring Command Bezel. Four models of the Yacht-Master II are offered, including, stainless steel, yellow gold, two-tone Everose gold and steel, and a mega deluxe white gold and platinum reference.